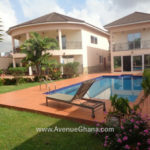 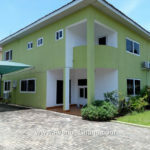 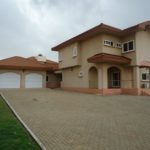 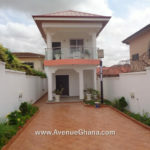 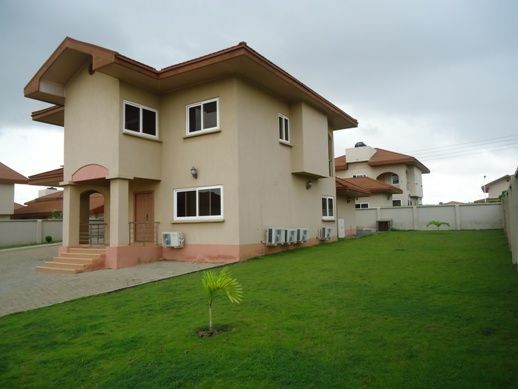 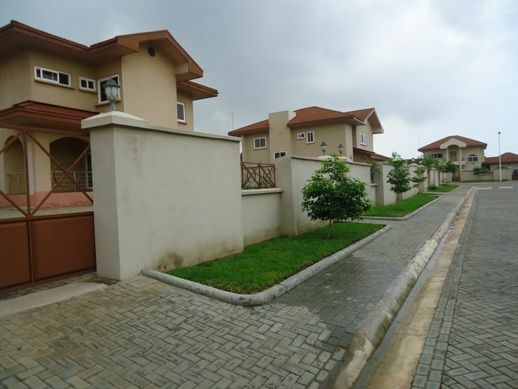 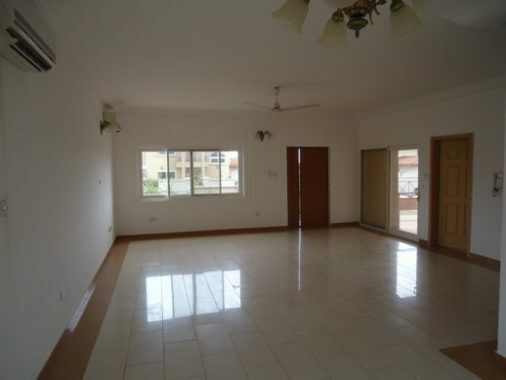 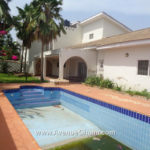 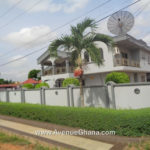 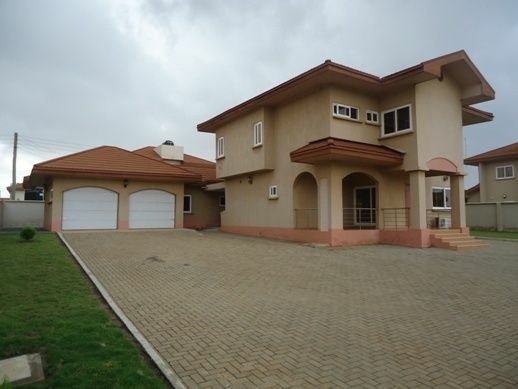 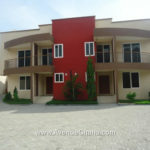 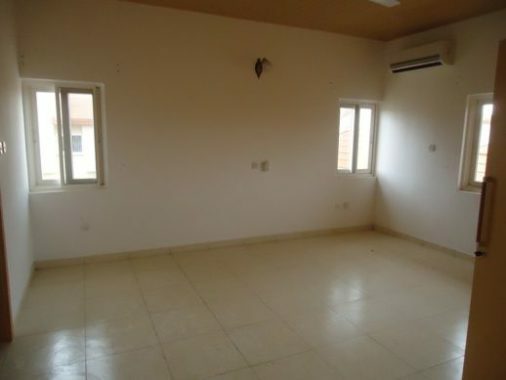 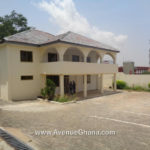 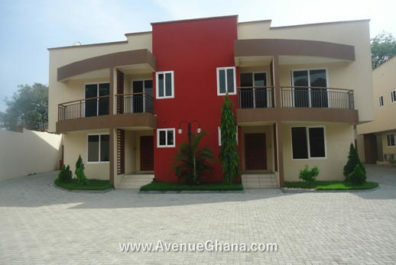 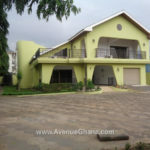 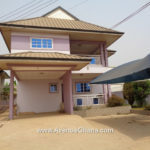 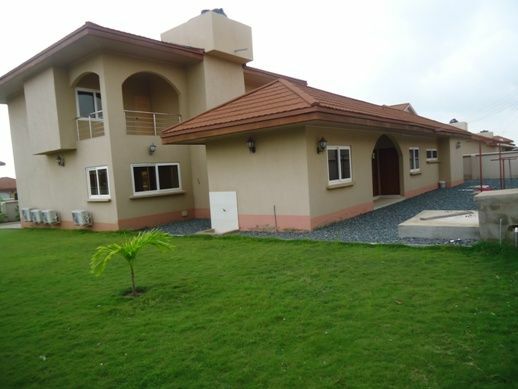 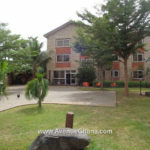 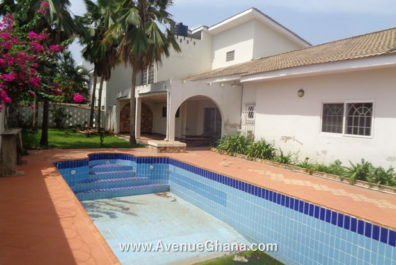 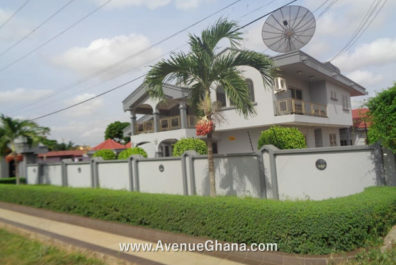 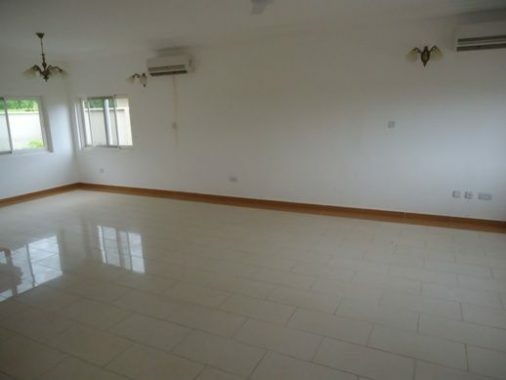 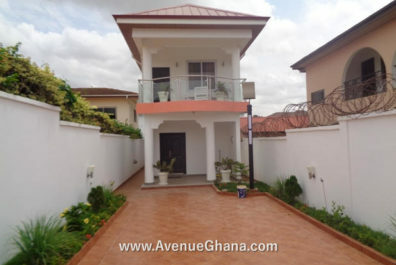 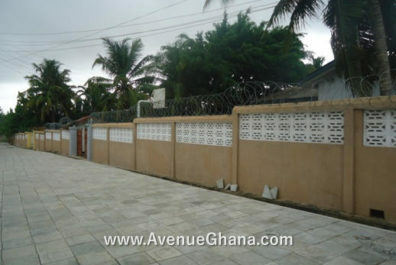 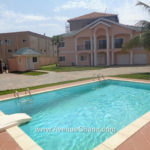 Estate house for rent in Regimanuel Estates in Accra, Ghana. 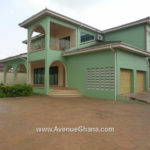 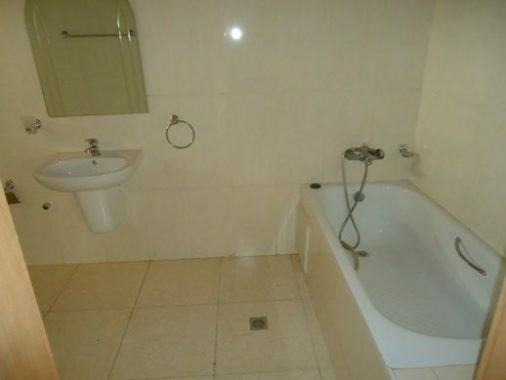 Property has 3 bedrooms (all rooms are en-suite). 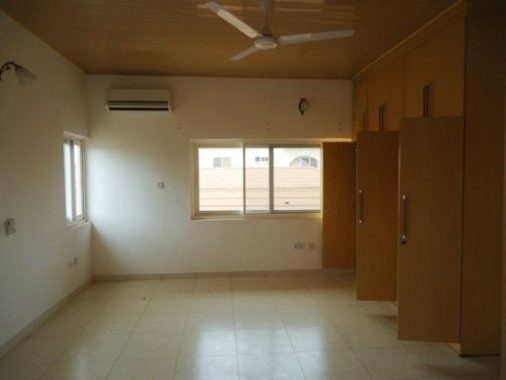 All rooms have A/C, fan and built-in wardrobes. 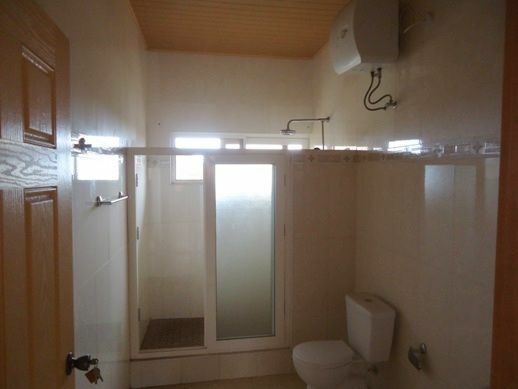 It has 2 bedrooms boys quarters (outhouse) and 2 garages. 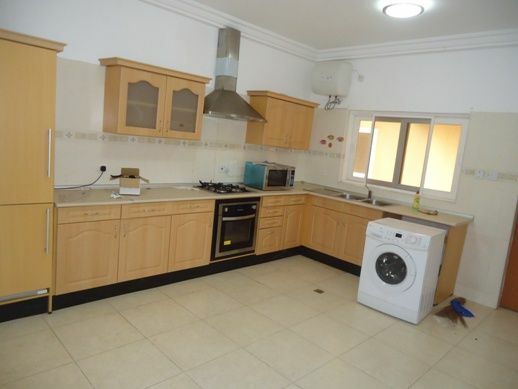 Furnished kitchen – fridge, cooker, microwave and washing machine. 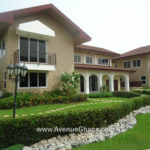 Serene environment with good roads, pavement and ornamental plants.